I never could've been as prepared for our vacation on my own. You thought of everything and then some. You went above and beyond. I loved the itinerary!!! My husband made fun of me the first day, but by day 2 he was helping me find it in my backpack. I'm an organized person and I do well with lists helping me stay organized and on task. I can't express enough how great it was- and that is in big part to you. 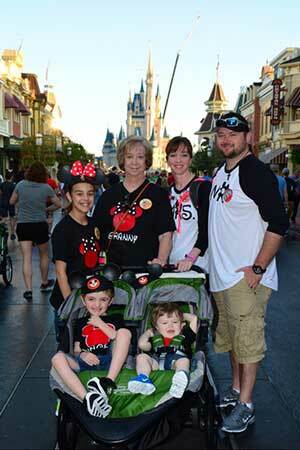 Because of our wonderful experience at Disney World we are already talking about when we will be going back. And of course I will be contacting you to help plan it. Again, thank you so much for all you did to make this the best vacation my family has ever had! !